When Ukraine threatened the autonomous status of Crimea, the people of that territory on March 16, 2014 voted in a popular referendum to declare independence from Ukraine and apply to join the Russian Federation as an autonomous republic. The results of the referendum were overwhelmingly for independence and retrocession to Russia with 96.7 percent of eligible voters opting for separation from Ukraine. The West howled at the referendum and its results. The European Union, Canada, and the United States slapped punitive sanctions on Crimean and Russian political leaders, companies, and institutions. Compare the overwhelming desire of the people of Crimea for separation from Ukraine and accession to the Russian Federation with how Australia has recently treated the self-governing territory of Norfolk Island, located in the Tasman Sea between Australia and New Zealand and the full story of the West’s total and utter hypocrisy comes to light. Norfolk Island’s population of 2300 could not be more different than that of Australia. Norfolk Island has its own flag, in which the famous Norfolk Island pine tree is depicted; its own post office that issues its own stamps; its own national holiday, Bounty Day; and its own official language, Norfuk, which is a patois of English and Tahitian, known as Pitkern, originally spoken by the mutinous descendants of the HMS Bounty. In 1979, Australia granted Norfolk Island self-government, with an elected Legislative Assembly enacting laws for the island. However, Australia’s Norfolk Island Act of 1979 placed restraints on Norfolk Island’s self-government. Australia, could, at will, override Norfolk Island legislation with Australian law. In 1977, the Norfolk Island Council, after being advised of the Australian government’s plans to incorporate the island into Australia, petitioned the United Nations to intervene. The Council reasoned that without a popular referendum on incorporation, Australia’s plans were a violation of the International Covenant on Economic, Social and Cultural Rights and International Covenant on Civil and Political Rights. Australia, chose not to apply the covenants to Norfolk Island. Nevertheless, after the enactment of the self-government act of 1979, Norfolk Island enjoyed a degree of self-government not enjoyed by Australia’s other external territories, including Cocos (Keeling) Islands, Christmas Island, Lord Howe Island, and the Torres Strait Islands. Australians and foreigners, before Norfolk Island’s illegal annexation by Canberra, required a passport to enter Norfolk Island. Norfolk Island is a member of international sporting organizations and Norfolk Island teams have marched under their own flag at the Commonwealth Games. Norfolk Island is also a member of the Commonwealth Parliamentary Association, and its Chief Minister, equivalent to a Prime Minister, has represented the island in Australian and international forums. Assisting the Chief Minister in self-governance was a Cabinet composed of a Minister for Tourism, Industry and Development; a Minister for Finance; a Minister for Cultural Heritage and Community Services; and a Minister for the Environment. Norfolk Island enjoyed its autonomous status until March 19, 2015, when the right-wing Australian government of Prime Minister Tony Abbott unilaterally revoked the self-government of Norfolk Island and attached it administratively to the state of New South Wales. The Abbott regime had decided to revoke the island’s self-governance because Norfolk Island, like many governments around the world, including Greece, Iceland, have been wracked by the effects of austerity and unscrupulous bank lending practices. 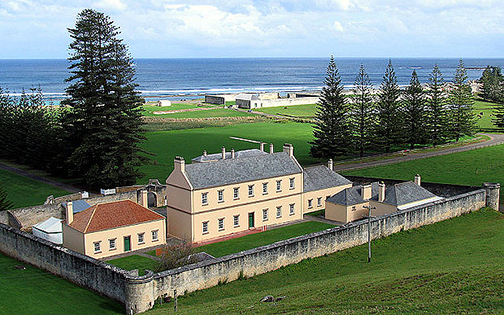 Norfolk Island, no longer benefitting from tourism revenue, went broke. When Norfolk Island decided to become an offshore banking center and legalize medical cannabis, both vetoed by the Australian colonial representative on the island, in order to replace the revenue sacrificed by the tourism slump, the Abbott regime began plotting their takeover of the island. Rather than work cooperatively with the long-established self-government institutions of the island, Abbott and his government in Canberra simply abolished them. 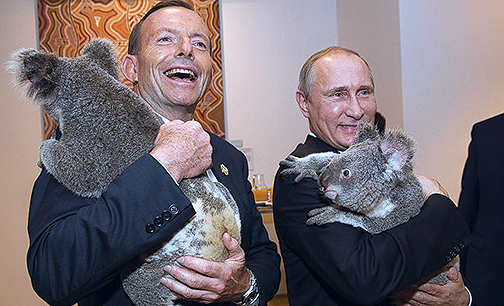 In November 2014, Abbott and his ministers went out of their way to snub Russian President Vladimir Putin at the G20 Summit in Brisbane. One of the bones of contention was the referendum that saw Crimea return to Russia. 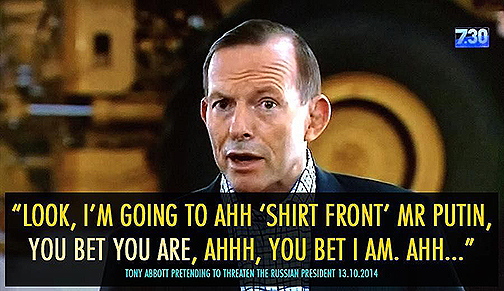 Abbott even threatened to "shirt front" Putin, that is, physically assault him, during the G20. 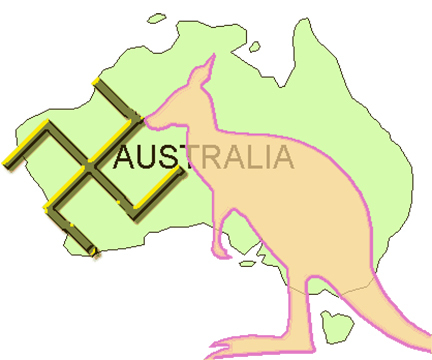 While the Western leaders at the G20 Summit condemned Russia for recognizing the self-determination of Crimea and supporting the self-government desires of the Russian-speaking people of Donetsk and Lugansk in the Donbas region of eastern Ukraine, Abbott and his ministers, in violation of every principle of international law, were plotting to seize control of Norfolk Island from the elected government and its citizenry. On May 8, 2015, the people of Norfolk Island held a referendum, which was not that much different than the referendum held in Crimea. 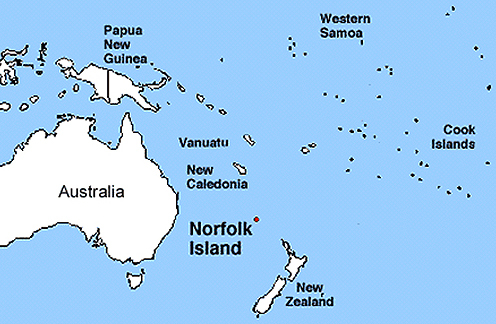 The referendum question asked whether Norfolk Islanders should "freely determine their political status and their economic, social and cultural development" and "be consulted at referendum or plebiscite on the future model of governance for Norfolk Island before such changes are acted upon by the Australian parliament." The referendum passed with 68 percent voting in favor. Australia and the Abbott regime ignored the results of the vote and continued to undemocratically absorb Norfolk Island into New South Wales and Australia. Australia maintains that Norfolk Island is an integral part of Australia, notwithstanding the 1979 Act and several declarations by Australian delegations to UN specialized agencies that Norfolk Island is a dependent territory of Australia. In every definition of the international law concept of an external dependent territory, Norfolk Island deserves to be added to the UN’s list of non-self-governing territories and Australia should be forced to develop a schedule for decolonization of Norfolk Island. 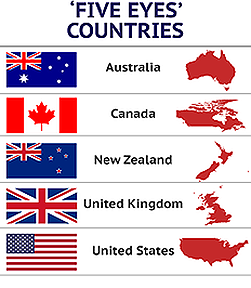 Australia’s disingenuous stance on Norfolk Island resulted in the island not being places on the UN Decolonization Committee’s official list of non-self-governing territories. Norfolk Islanders believe their country should be on the UN list because they contend that Queen Victoria granted the island independence when Britain decided to resettle the people of Pitcairn on Norfolk Island in 1856. Australia has used its tremendous diplomatic clout to deny Norfolk Island a hearing before either the United Nations or the International Court of Justice. 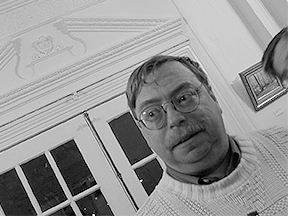 Norfolk Island Chief Minister Lisle Snell, who was tossed from his office as a result of Australia’s unilateral action, declared the results of the referendum displayed for the world Australia’s perfidy. Snell said, "the referendum results blow a hole in Canberra's assertion that the reforms introduced before the Australian Parliament that propose abolishing the Legislative Assembly and Norfolk Island Parliament were overwhelmingly supported by the people of Norfolk Island." In other words, as far as Australia and its surveillance-oriented FIVE EYES intelligence partners of the United States, Canada, Britain, and New Zealand are concerned, the people of Norfolk Island and Crimea do not deserve their referendum decisions to be recognized by the world community. However, unlike Russia, which did recognize the will of the people of Crimea, Australia has rejected the will of the people of Norfolk Island. And unlike Russia, Australia has not been subject to crippling international sanctions for its political and diplomatic aggression against Norfolk Island. Australia riled Norfolk Island’s elected leaders when it informed them they would have to vacate their government offices by midnight on June 16. The new de facto leader of Norfolk Island is Regional Development Minister Jamie Briggs, an anti-labor union crony of Abbott. After Norfolk Island Legislative Assembly Speaker David Buffett railed against Canberra’s seizure of power on the island, Briggs informed Buffett that he was fired from the Canberra-appointed replacement for the elected Legislative Assembly, the "Community Advisory Council." Norfolk Island’s appeals to the world to condemn Australia’s illegal annexation have gone unheard. At the very least, sanctions, including visa bans and foreign asset freezes, should be imposed on Australian leaders like Abbott, Briggs, Foreign Minister Julie Bishop, Attorney George Brandis, Finance Minister Matthias Cormann, and Governor General Peter Cosgrove, among others. The "quislings" appointed by Briggs to the rump unelected Community Advisory Council should also face international sanctions, including travel bans. 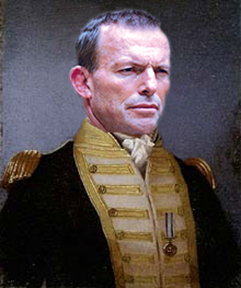 Norfolk Island, populated by the descendants of British Royal Navy officers and enlisted men who mutinied against the tyrannical Captain William Bligh, do not need Tony Abbott and his cronies in Canberra reprising the dictatorial roles of Bligh and his loyalists on the HMS Bounty.